Joe lost 80 pounds for an Alaskan vacation! 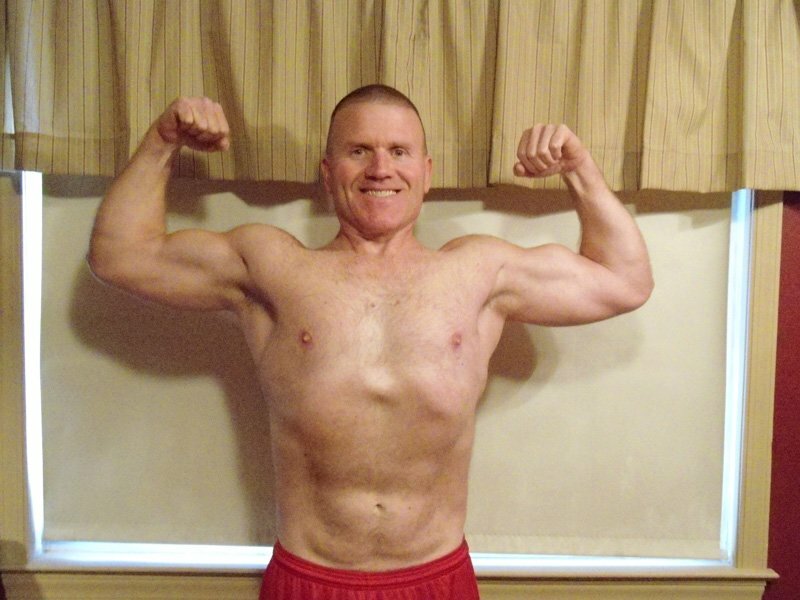 He was powerlifting, but started bodybuilding to change his physique for a cruise to the Last Frontier! 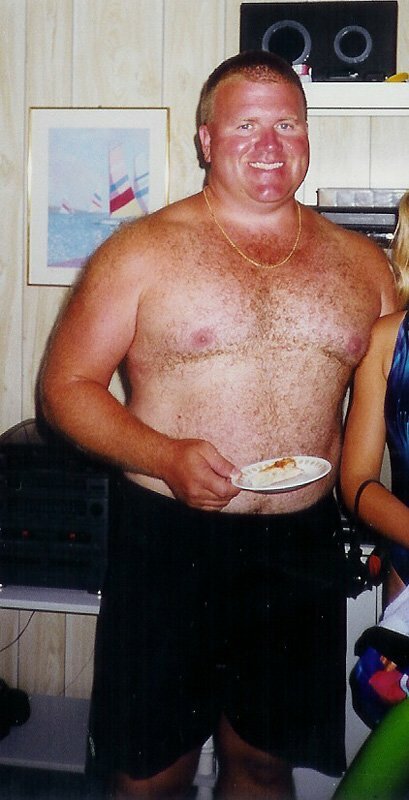 I was going on a cruise to Alaska, and thought I would try to lose some weight and get in better shape before going. Although I weight trained and did cardio 3 days a week, I was not seeing the results I desired. I looked at my program and decided that although I was strong, I was carrying way too much body fat. I changed from a powerlifting type of workout to a traditional bodybuilding in order to transform my appearance and also feel better about myself. 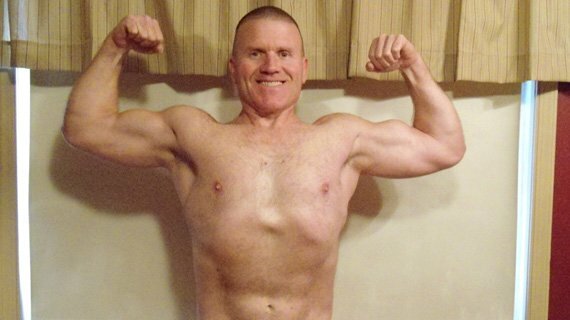 I was familiar with Bodybuilding.com from seeing Bob Cicherillo at a local bodybuilding contest in Virginia the previous year. I went on the site, found some good ideas and I was off to the races. 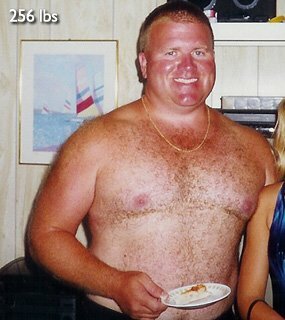 Inspired by seeing Chick on Bodybuilding.com, Joe hatched his own fitness agenda. I scrapped the workout and diet I was on, which really was not a plan at all. I decided that I should eat 6 meals per day, and try to drink at least a gallon of water as well. Through trial and error and the devised nutritional plan below, the weight really started to come off. I was consistently seeing 2-to-3 pounds per week of weight loss. Interestingly enough, as I increased my protein intake the weight loss seemed to accelerate. At the same time I completely changed my workouts from a powerlifting type workout to a bodybuilding regimen. I increased my reps and reduced my rest time as well. This also assisted in accelerating my fat loss. Cardio was done on a more consistent basis as well. Of all this inspired me to become a personal trainer, and I got certified through the ISSA. 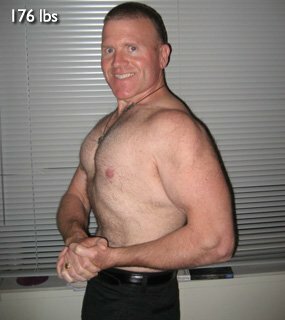 I also entered a natural bodybuilding contest in 2007, placing 6th out of 15 in the Masters weight class. This whole experience was truly life changing. Joe is now a disciple, preaching the word to anyone who will genu-flex at the altar of muscle. I consume 6 meals per day. I eat every 2-3 hours. Meals are high in protein, moderate in carbs and fat. I try to get at least 35 grams of fiber each day. I drink at least a gallon of water each day. I also have several cups of coffee, and a couple of diet sodas as well. I do not drink milk. I train my entire body with a 4-day split workout program. All weights are pyramided up. This is an example of my workouts. No two workouts are repeated. Exercise selection, and order are always different. Don't let other people dictate what you do or how you do it. If your mind can perceive it, your body can achieve it. Eat to live—don't live to eat. If bodybuilding was easy, everyone would be a bodybuilder. Surround yourself with positive like minded people. Lastly, nothing tastes as good as being fit feels.